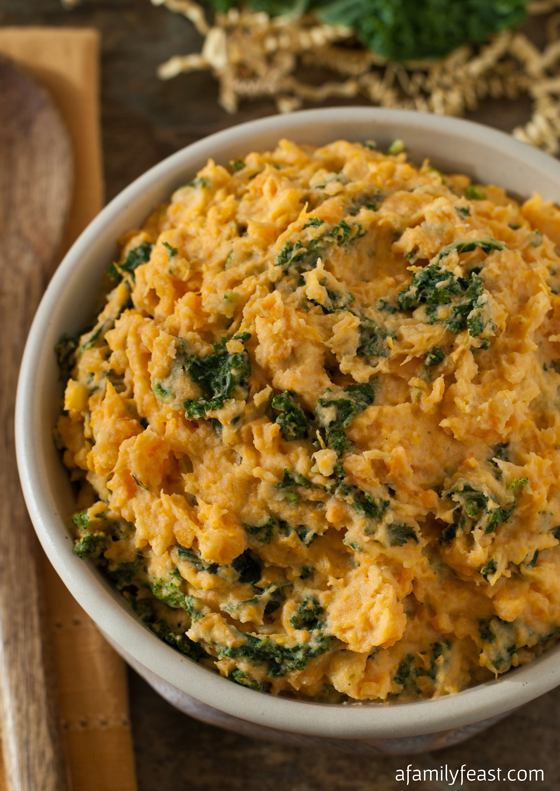 Our Ginger Maple Sweet Potato Casserole takes the traditional Thanksgiving side dish – and makes it even better! 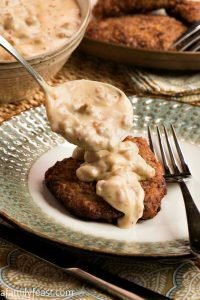 I know – it’s hard to believe that just about everyone’s favorite side dish could get any better – but with our recipe – it does! 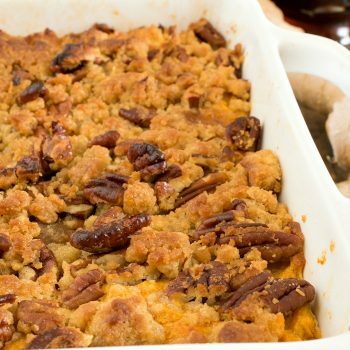 Today’s scrumptious Ginger Maple Sweet Potato Casserole recipe takes few extra steps along the way to add even more great flavor to this rich and decadent casserole. Starting with the sweet potatoes – we roasted them in the oven to give them deep caramelized flavor before mashing them for the casserole assembly. We also browned the butter – an easy extra step that adds a fantastic nutty, toasted flavor. 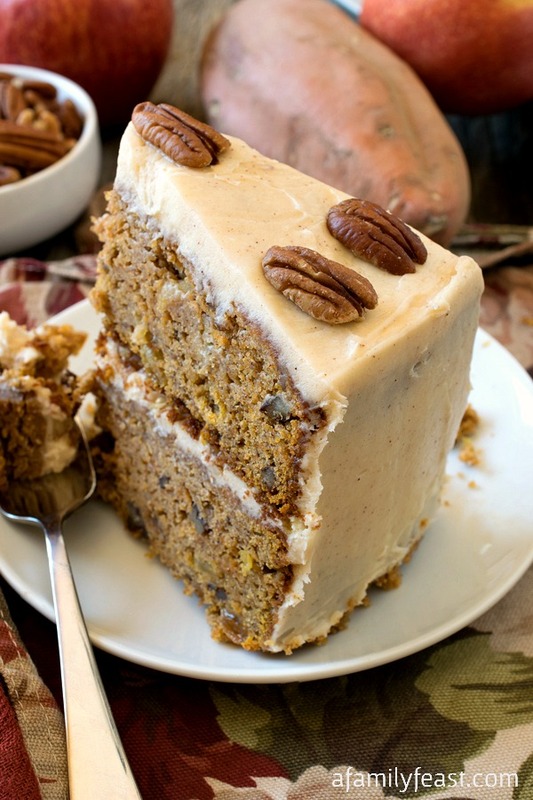 And we added maple syrup and ground ginger to the sweet potato mixture – two wonderfully complementary flavors that go so well with the earthy sweetness of the sweet potatoes. 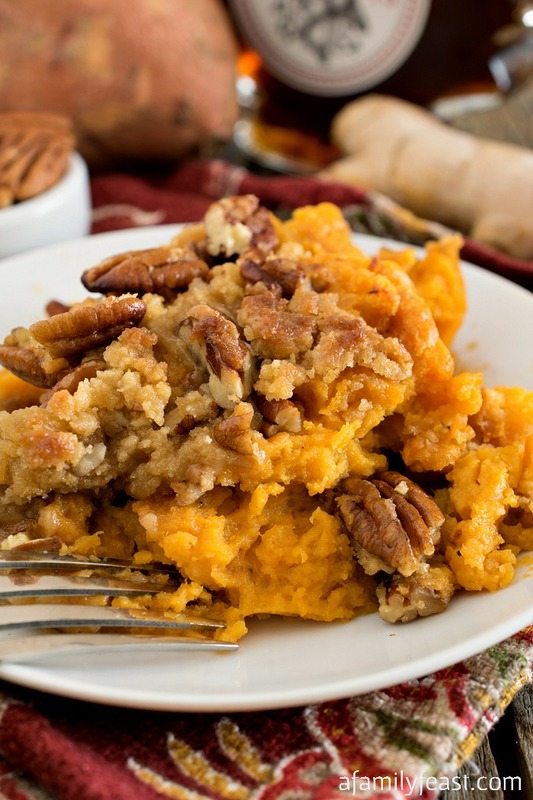 Once the mashed sweet potato mixture is layered in the casserole dish, we topped it with a pecan and brown sugar topping that has extra flavor and sweetness from the addition of crystallized ginger in the mix. 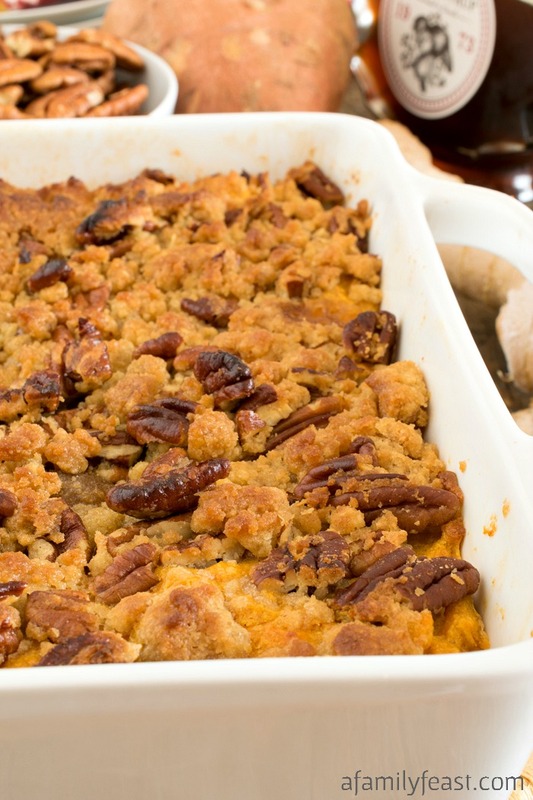 Seriously – this Ginger Maple Sweet Potato Casserole is so good – just give me a plateful of this for my Thanksgiving meal and I’ll be very, very happy! 🙂 Enjoy! Preheat oven to 475 degrees F. This high temp is necessary to get a nice browned surface on the outside of the potatoes. Peel the sweet potatoes and cut into ½ inch thick slices. Toss potato slices with oil, salt and pepper and pour onto a foil lined sheet pan. Roast for 30 minutes turning halfway through to tender. Note: Ovens are different. 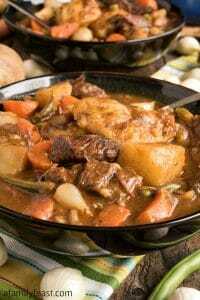 Yours may cook the potatoes in less than 30 minutes so please check after 10 minutes to gauge cooking time. They should be golden brown on the outside and soft in the center. 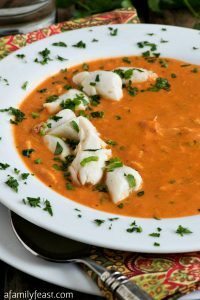 Place in a food processor and discard the oil left in the pan. While the potatoes are cooking, put the stick of butter in a sauce pan and bring the heat to medium to medium low. The butter will melt, then start to turn brown as it cooks. The milk fat will settle to the bottom and look like it is starting to burn there. Once the butter is deep brown (about 15 minutes or more), remove and strain the mixture through a fine sieve. Cool slightly. Discard solids and add the browned butter to the food processor with the cooked potatoes. Add the milk, sugar and maple syrup and pulse to combine the ingredients. Add the eggs, ginger and salt and run the food processor until the mixture is thick and creamy. Butter a two quart casserole dish and pour in the potato mixture. In a medium bowl, mix all of the topping ingredients and sprinkle over the potato mixture. Bake uncovered for about 45-50 minutes or until hot and bubbly and browned on top. 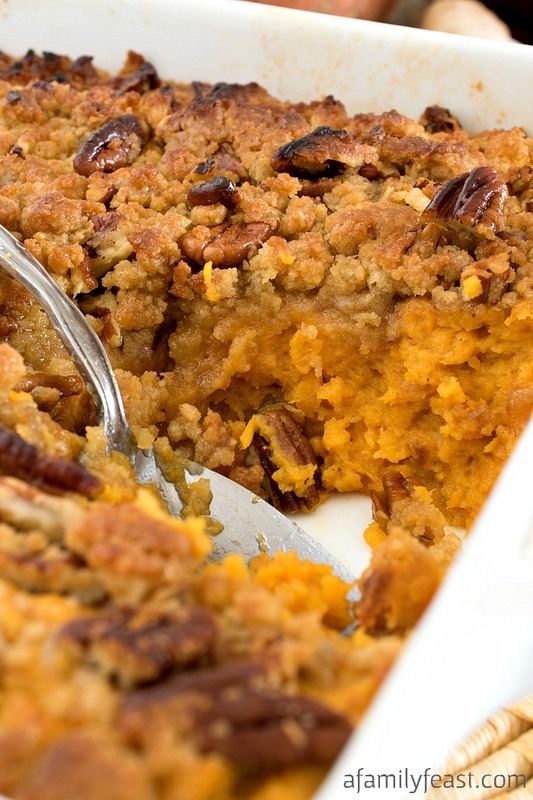 PLEASE – what EXACTLY do you mean when you (and other cooks) talk about “sweet potatoes”? I always see potatoes with orange meat (in your recipes/pictures). The varieties of actual sweet potatoes that I am aware of have brownish to yellowish skins and whitish to yellowish meat (except some purple ones). Only YAMS have the brownish orangish skin with orange meat! Is there a variety that I’m not aware of? There is a difference in taste between sweet potatoes and yams also. 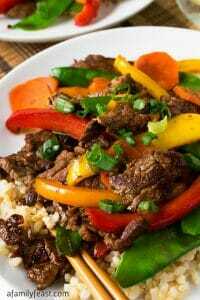 I would appreciate an answer so I can make all your recipes the right way! 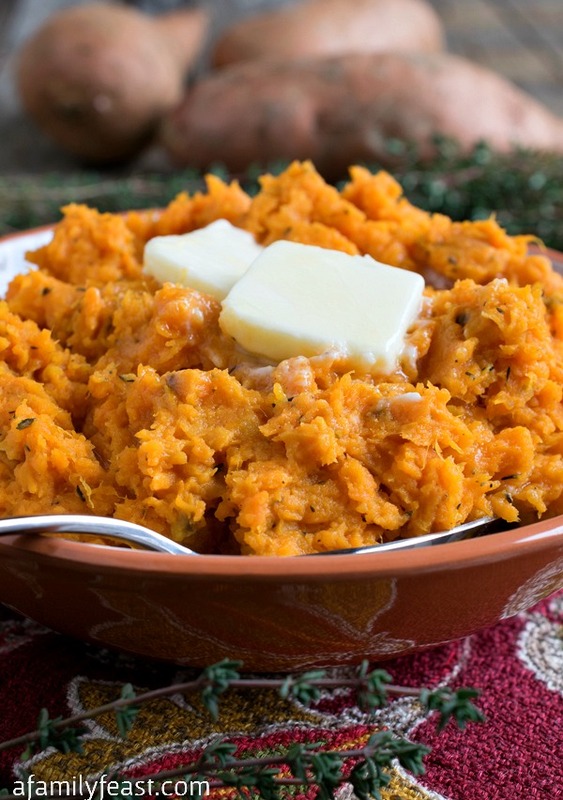 Hi John – Great question – and many people are confused about yams vs sweet potatoes! I found this article to be helpful: http://www.thekitchn.com/whats-the-difference-between-yams-and-sweet-potatoes-word-of-mouth-211176 – often times the ‘yams’ at the supermarket are mislabeled and are really sweet potatoes. Hope this helps!